Approximately 180 species of gladiolus are available to the gardener. Originating from South Africa on rocky slopes, marshy areas and grasslands, they are also found growing in the Mediterranean, Asia and Central Europe. The latin name “Gladiolus” means “small sword”, which is referring to the shape of the leaves and flower spike. They were at one time referred to, as “sword lilies” or “corm lilies”, as the plants are formed from round, flattened bulbs, called “corms”. The flowers are triangular and funnel shaped, with their six flower petals, or “tepals” as they are called. Each flower usually has one central upper petal, two side petals and three smaller bottom petals. Flowers are available with plain tepals (Dutch origin) and ruffled tepals (American origin). All flowers begin by opening at the base of the flower spike, and as they die more open above, this happening slowly in an upward motion of each spike. Each flower spike produces flowers on only one side and has dark green leaves in a fan shape at the base of the plant. As many as 7 flowers can open at one time on a single spike with 22 buds formed. Colors are available in a wide range, including: pure white, ivory, yellow, peach, pink, orange, red, lavender and purple. Novelty colors available are lime green and a dark red seemingly black. The only colour not available is a true blue. 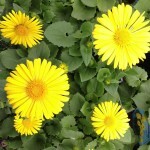 They can be single colored or bi-coloured and with plain or ruffled petals. Different cultivars and hybrids available to choose from comprise of many characteristics. Some are dwarf in height and flower size, and bloom late, while others are regular sized and bloom early- or mid-season. The colors, heights and bloom times vary a great deal, thus various types of glads can be seen growing throughout the season. When purchasing gladioli corms, choose firm, plump and unblemished ones. The ideal corms should be 2.5 centimeters or more in diameter. 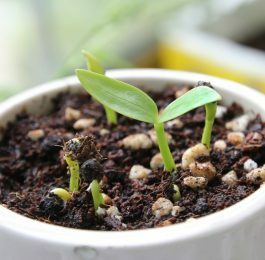 They can be planted in the garden two weeks before the last expected frost, thus their green shoots appearing when the weather has warmed. Many varieties are heat tolerant, disease resistant and will grow successfully in greenhouses. Diseases and insect damage can be seen by yellow spotted leaves, stunted growth and flowers that open irregularly and fade quickly. Some fungicides/insecticides work with above-ground plant parts, and removal of diseased corms being the only solution for under-ground problems. Rotating planting areas helps with the prevention of disease control. Gladioli look best when planted in drifts of odd numbers in the garden. If planting strictly for cut flowers, then straight rows are the easiest to work with. The best sites for planting gladioli corms, are full sun with rich, well-drained soil that has a 5.5-7.0 PH level. They will tolerate part-shade, but will not be as compact or as straight in growth. Plant corms with the tips facing upwards, 3-6 inches deep, with the smaller corm planted more shallow. If a heavy clay-like soil site is chosen, then it too should be planted more shallow. If the corms are large and the planting site is sandy, then the corms should be planted deeper. Staking the plant as it grows is advisable, as strong gusts of wind will likely bend the stems over. 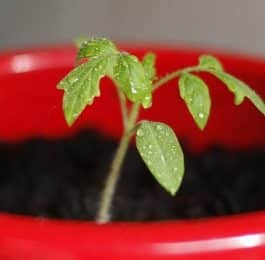 An alternative to this is hilling up the stem with more soil when it is 10-12 inches tall. 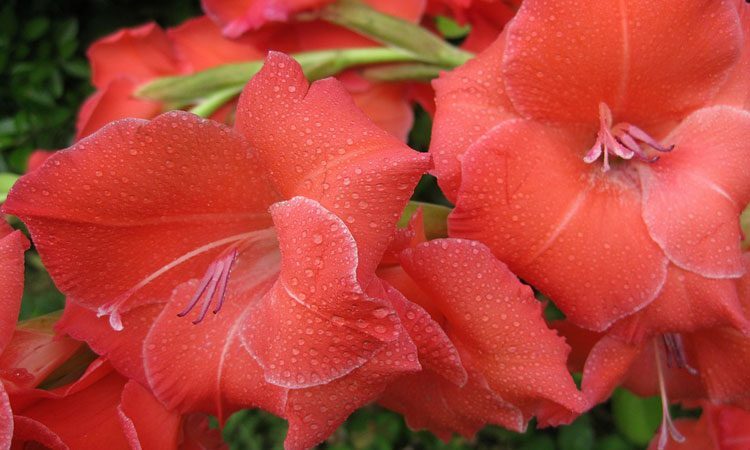 Watering of gladioli is necessary to do on a regular basis, since the bulbs are trying to produce a large flower, as well as produce strong roots. Fertilizing of glads is advantageous, as this produces a healthy flower stalk and gives the corm the needed strength to build enough energy to produce another flower the following year. A higher second and third number, such as 5-10-10 fertilizer applied every 4-6 weeks works best. For continuous bloom in the garden, plant every 7-10 days until 6-8 weeks before the last expected frost. When the flower stalk has finished blooming, it is still required to water and fertilize the corm. Allow the leaves to mature and die down on their own, do not cut them off, as doing so will achieve a small corm, producing either a small flower or none at all the following year. 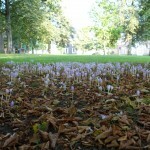 Leave the corms in the ground with their remaining leaves until a heavy frost is predicted. This is the time to remove the corms from the soil to be over-wintered indoors. 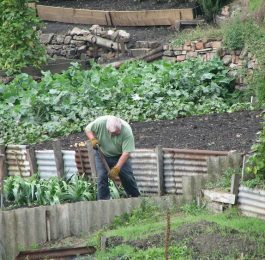 It is not necessary to throw out the corms in the fall, as most can be over-wintered until planting next spring. After lifting the corms, allow them to dry out for 10-14 days. Then peel off the dry husks to reveal any insect damage. Any old or damaged corms are discarded and the remaining are allowed to dry 3-5 days longer. Any small corms or cormlets should be left on the mother corm until planting the following spring. It will take anywhere from 2-5 years for these cormlets to produce a flower. Dust the corms with an insecticide/fungicide dust before storing in a cool, dry, dark place. Leave approximately 1/2 – 1 inch of the remaining stalk on the corm until planted the following spring, and check periodically to remove any bad corms. Gladioli are suitable for rock gardens and borders with the taller varieties planted at the back. They are most notably seen as cut flowers for the table, yet even the novice gardener or child can have great delight in these very easy plants. Once hooked on how easy they truly are, I’m sure to see more in gardens everywhere.